The technology for radio wireless local area networking of devices was developed by Australian radio-astronomers at the Commonwealth Scientific and Industrial Research Organisation (CSIRO) as a by-product of a failed experiment to detect exploding mini black holes the size of an atomic particle. In 1999, pioneers of the new technology (including 3Com, Aironet, Harris Semiconductor, Lucent, Nokia and Symbol Technologies) formed the Wireless Ethernet Compatibility Alliance (now Wi-Fi Alliance) and branded the new technology Wi-Fi. The technology can be used by desktops and laptops, smartphones and tablets, video game consoles, and other devices. According to the World Health Organization, exposure to radio frequency fields from wireless networks has no known health effects. However, some organizations have concerns about this. One of these organizations is the International Environmentalist Federation (Federación Ambientalista Internacional, FAI) based in Venezuela. 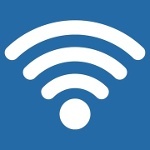 In 2016, FAI declared November 8 World Day Without Wi-Fi in order to raise public awareness about the possible risks associated with the widespread use of wireless technologies and to encourage people to use cable connection instead of wireless whenever possible.